This is the illustration that should be in the Article titled Mumbai, below. For some reason, Blogger would not let me put it where it belonged, disabled the photo upload function. Actually, the is really about Obama, but Mumbai will be Googled more this week. And don't these people respect Thanksgiving? Illustration: I may have lost stature, but I can still dance on my fingers. Why did he not only keep Lieberman in the Democratic Party but also let him remain chari of the committees? Lieberman was a traitor to the party and insulted Obama every chance he got, standing alongside the (pardon the expression) Republican McCain and the dingbat Sarah Palin. Why not punish him? Queene Elizabeth I would have had him headless or in the tower awaiting headlessness. Well, what is more valuable, revenge, deserved revenge, or having him there where he might help to stop a filibuster? Obama learned politics in Chicago and one thing you learn is you don't kill someone unless you gain by it. Why do it for free? What's in it for me? Another is Hillary for Secretary of State. Well, you all remember what happened to Colin Powell. She deserves it. She has it coming. There was some talk of her on the Supreme Court, but I'm hoping for Larry Tribe there. I got sick every time I saw Madeline Albright with Obama. I could have tolerated Brezynski, but she's the one who said half a million Iraqi deaths a year is worth it. Using the old Clinton crowd as economic advisors is a problem too, but he actually addressed that. He said he needed people who knew how to get things done, but that He would decide what needs to be done. At least he has been on the streets and knows what is happening of people. He also set up a group of "outsiders" to advise him as a counterweight to the establishment which I assure you is already there. This group owes nothing to anybody as is free to say what they want. Pat Buchanan said that much of what is going on is "EuroSocialism," and that I take as a compliment. We are far below those "EuroSocialist" countries, such as Belgium, in care for the people. A couple of days ago, I called into a radio talk show. I had been meaning to do this for some time, but privacy, time, and access to a phone at 6 PM on Tuesdays seldom come together for me. Mark Haim, our local activist leader, of whom we should be proud, was conducting the show and he was pleasant enough, as usual, but asked "How do we get our point across to him." Since I had a touch of Mad Cow disease, I kept talking about other things and never did address the question. Actually, what I intend to do is the same as all along. Each of us has to do what is possible, what they are most talented at, or most capable of doing. Mark and others stand on a corner on Wednesdays asking people to honk their horns to express displeasure at the war. Fine. Sometimes I even drive by to honk. It didn't change Bush a whit, but it was at least something -- somebody must have felt better knowing they weren't alone. Others fasted and still fast. I'm too hungry for that. I'm no Ghandi, nor was Thoreau from whom Ghandi got his civil Disobedience ideas. But it all adds up. Even this thing I put up on the net and swell your inboxes with may help. A lot of people, intelligent, open minded people, just don't have the time or access to some of these facts. One such reader once told me he learned alot from this thing, maybe more than he wanted to know, but it was all true. Amy Goodman, on Democracy Now, makes you feel less isolated and you get some real facts that you may be able to slip in a fact that might influence someone quite sucked in by the Media (as if those who own the government would use their own Media to criticize it). Every little bit counts. On the site I'm putting up links both to the station that Mark is on and to Democracy Now, in addition to the WhatnowToons that I sometimes use here. Everything helps somehow. Maybe the butterfly effect has a role in politics? Even saddled with a two-front, budget-busting war and a collapsing economy, President Barack Obama may be able to accomplish a lot. With a friendly Congress and a relieved world, he could make short work of some of the most egregious overreaches of the Bush White House -- from Guantanamo to those Presidential signing statements. For all the rolling up of sleeves and "everything is going to change" exuberance, however, taking on the Pentagon, with its mega-budget and its mega-power, may be the hardest task he faces. Under President George W. Bush, military spending increased by about 60%, and that's not including spending on the wars in Iraq and Afghanistan. Eight years ago, as Bush prepared to enter the Oval Office, military spending totaled just over $300 billion. When Obama sets foot in that same office, military spending will total roughly $541 billion, including the Pentagon's basic budget and nuclear warhead work in the Department of Energy. And remember, that's before the Global War on Terror enters the picture. The Pentagon now estimates that military operations in Iraq and Afghanistan will cost at least $170 billion in 2009, pushing total military spending for Obama's first year to about $711 billion (a number that is mind-bogglingly large and at the same time a relatively conservative estimate that does not, for example, include intelligence funding, veterans' care, or other security costs). With such numbers, it's no surprise that the United States is, by a multiple of nearly six, the biggest military spender in the world. (China's military budget, the closest competitor, comes in at a "mere" $120 billion.) Still, it can be startling to confront the simple fact that the U.S. alone accounts for nearly half of all global military spending -- to be as exact as possible in such a murky area, 48% according to the International Institute for Strategic Studies. That's more than what the next 45 nations together spend on their militaries on an annual basis. Representative Barney Frank (D-MA) drew the ire and consternation of hard-line Republicans and military hawks when, in October, he suggested that Congress should consider cutting defense spending by a quarter. That would mean shaving $177 billion, leaving $534 billion for the U.S. defense and war budget and maintaining a significant distance -- $413 billion to be exact -- between United States and our next "peer competitor." Frank told a Massachusetts newspaper editorial board that, in the context of a struggling economy, the Pentagon will have to start choosing among its many weapons programs. "We don't need all these fancy new weapons," he told the staff of the New Bedford Standard Times. Obama did not back him up on that. Even chairman of the House Appropriations Subcommittee on Defense John Murtha (D-PA), a Congressman who never saw a weapons program he didn't want to buy, warned of tough choices on the horizon. While he did not put a number on it, in a recent interview he did say: "The next president is going to be forced to decrease defense spending in order to respond to neglected domestic priorities. Because of this, the Defense Department is going to have to make tough budget decisions involving trade-offs between personnel, procurement and future weapons spending." And now, President-elect Obama is hearing a similar message from the Defense Business Board, established in 2001 by Secretary of Defense Donald Rumsfeld to give advice to the Pentagon. A few weeks ago, in briefing papers prepared for President-elect Obama's transition team, the Board, hardly an outfit unfriendly to the Pentagon, argued that some of the Defense Department's big weapons projects needed to be scrapped as the U.S. entered a "period of fiscal constraint in a tough economy." While not listing the programs they considered knife-worthy, the Board did assert that "business as usual is no longer an option." Meanwhile, defense executives and industry analysts are predicting the worst. Boeing CEO Jim McNerney wrote in a "note" to employees, "No one really yet knows when or to what extent defense spending could be affected, but it's unrealistic to think there won't be some measure of impact." Michael Farage, Sikorsky's director of Air Force programs, was even more colorful: "With the economy in the proverbial pooper, defense budgets can only go down." Kevin G. Kroger, president of a company making oil filters for Army trucks, offered a typical reaction: "There's a lot of uncertainty out there. We're not sure where the budgets are going and what's going to get funded. It leaves us nervous." It's no surprise that, despite eight years of glut financing via the Global War on Terror, weapons manufacturers, like the automotive Big Three, are now looking for their own bailout. For them, however, it should probably be thought of as a bail-up, an assurance of yet more good times. Even though in recent years their companies have enjoyed strong stock prices, have seen major increases in Pentagon contracts, and are still looking at boom-time foreign weapons sales, expect them to push hard for a bottom-line guarantee via their Holy Grail -- a military budget pegged to the gross domestic product. "We advocate 4 percent of the GDP as a floor for defense spending. No question that has to be front and center for any new president's agenda," says Marion Blakey, president of the Aerospace Industries Association, a trade group representing companies like Lockheed Martin and Northrop Grumman. Listening to defense industry figures talk, you could get the impression that the Pentagon's larder was empty and that the pinching of pennies and tightening of belts was well underway. While the cuts suggested by the Defense Business Board report got a lot of attention, the Pentagon is already quietly laying the groundwork to lock the future Obama administration into a possibly slightly scaled-down version of the over-the-top military spending of the Bush years. At the beginning of October, the Pentagon's latest five-year projection of budget needs was revealed in the Congressional Quarterly. These preliminary figures -- the full request should be released sometime next month -- indicate that the Pentagon's starting point in its bargaining with the new administration and Congress comes down to one word: more. Unfortunately, when it comes to military spending and defense, the record is reasonably clear -- Obama is not about to go toe-to-toe with the military-industrial-complex. On the campaign trail, his stump speech included this applause-ready line suggesting that the costs of the war in Iraq are taking away from important domestic priorities: "If we're spending $10 billion a month [in Iraq] over the next four or five years, that's $10 billion a month we're not using to rebuild the U.S., or drawing down our national debt, or making sure that families have health care." But the "surge" that Obama wants to shift from Iraq to Afghanistan is unlikely to be a bargain. In addition, he has repeatedly argued for a spike in defense spending to "reset" a military force worn out by war. He has also called for the expansion of the size of the Army and the Marines. On that point, he is in complete agreement with Defense Secretary Robert Gates. They even use the same numbers, suggesting that the Army should be augmented by 65,000 new recruits and the Marines by 27,000. The Congressional Budget Office estimates that these manpower increases alone would add about $10 billion a year -- that same campaign trail $10 billion -- to the Pentagon budget over a five-year period. The word from Wall Street? In a report entitled "Early Thoughts on Obama and Defense," a Morgan Stanley researcher wrote on November 5th, "As we understand it, Obama has been advised and agrees that there is no peace dividend... In addition, we believe, based on discussions with industry sources that Obama has agreed not to cut the defense budget at least until the first 18 months of his term as the national security situation becomes better understood." In other words: Don't worry about it. President Obama is not about to hand the next secretary of defense a box of brownie mix and order him to hold a bake sale to buy a bomber. Sooner rather than later, the new administration will need to think seriously about how to spend smarter -- and significantly less -- on the military. Our nose-diving economy simply will no longer support ever-climbing defense budgets. The good news is that the Obama administration won't have to figure it all out alone. The contributors to Foreign Policy In Focus's new Unified Security Budget have done a lot of the heavy lifting to demonstrate that some of the choices that need to be made really aren't so tough. The report makes the case for reductions in military spending on outdated or unproven weapons systems totaling $61 billion. The argument is simple and straightforward: these expensive systems don't keep us safe. Some were designed for a geopolitical moment that is long gone -- like the F-22 meant to counter a Soviet plane that was never built. Others, like the ballistic missile defense program, are clearly meant only to perpetuate insecurity and provoke proliferation. To cut the military budget more deeply, however, means more than canceling useless, high-tech weapons systems. It means taking on something fundamental and far-reaching: America's place in the world. It means coming to grips with how we garrison the planet, with how we use our military to project influence and power anywhere in the world, with our attitudes towards international treaties and agreements, with our vast passels of real estate in foreign lands, and, of course, with our economic and political relationships with clients and competitors. As a candidate, Barack Obama stirred our imagination through his calls for a "new era of international cooperation." The United States cannot, however, cooperate with other nations from atop our shining Green Zone on the hill; we cannot cooperate as the world's sole superpower, policeman, cowboy, hyperpower, or whatever the imperial nom du jour turns out to be. Bottom line: we cannot genuinely and effectively cooperate while spending more on what we like to call "security" than the next 45 nations combined. Frida Berrigan is a Senior Program Associate at the New America Foundation's Arms and Security Initiative (ASI). She is a columnist for Foreign Policy in Focus and a contributing editor at In These Times. In early December, ASI will release Weapons at War 2008: Beyond the Bush Legacy, co-authored by Berrigan and William D. Hartung, an examination of U.S. weapons sales and military aid to developing nations, conflict zones, and nations where human rights are not safeguarded. Email berrigan@newamerica.net if you would like a copy of the executive summary. 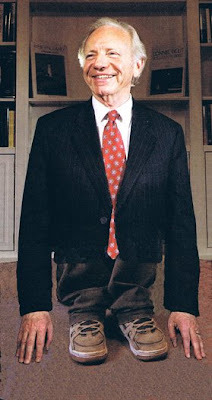 To listen to Berrigan discuss Obama and the Pentagon in an audio interview, click here. American planes have, in fact, taken out two brides in the last seven months. And don't try to bury your dead or mark their deaths ceremonially either, because funerals have been hit as well. Mind you, those planes, which have conducted 31% more air strikes in Afghanistan in support of U.S. troops this year, and the missile-armed unmanned aerial vehicles (UAVs) now making almost daily strikes across the border in Pakistan, remain part of George W. Bush's Air Force, but only until January 21, 2009. Then, they -- and all the brides and grooms of Afghanistan and in the Pakistani borderlands who care to have something more than the smallest of private weddings -- officially become the property of President Barack Obama. That's a sobering thought. He is, in fact, inheriting from the Bush administration a widening war in the region, as well as an exceedingly tenuous situation in devastated, still thoroughly factionalized, sectarian, and increasingly Iranian-influenced Iraq. There, the U.S. is, in actuality, increasingly friendless and ever less powerful. The last allies from the infamous "coalition of the willing" are now rushing for the door. The South Koreans, Hungarians, and Bulgarians -- I'll bet you didn't even know the latter two had a few troops left in Iraq -- are going home this year; the rump British force in the south will probably be out by next summer. The Iraqis are beginning to truly go their own way (or, more accurately, ways); and yet, in January, when Barack Obama enters office, there will still be more American troops in Iraq than there were in April 2003 when Baghdad fell. Winning an election with an antiwar label, Obama has promised -- kinda -- to end the American war there and bring the troops -- sorta, mostly -- home. But even after his planned 16-month withdrawal of U.S. "combat brigades," which may not be welcomed by his commanders in the field, including former Iraq commander, now Centcom Commander David Petraeus, there are still plenty of combative non-combat forces, which will be labeled "residual" and left behind to fight "al-Qaeda." Then, there are all those "advisors" still there to train Iraqi forces, the guards for the giant bases the Bush administration built in the country, the many thousands of armed private security contractors from companies like Blackwater, and of course, the 1,000 "diplomats" who are to staff the newly opened U.S. embassy in Baghdad's Green Zone, possibly the largest embassy on the planet. Hmmmm. And while the new president turns to domestic matters, it's quite possible that significant parts of his foreign policy could be left to the oversight of Vice President Joe Biden who, in case anyone has forgotten, proposed a plan for Iraq back in 2007 so filled with imperial hubris that it still startles. In a Caesarian moment, he recommended that the U.S. -- not Iraqis -- functionally divide the country into three parts. Although he preferred to call it a "federal system," it was, for all intents and purposes, a de facto partition plan. So, after January 20th, expect Obama to take possession of George Bush's disastrous Afghan War; and unless he is far more skilled than Alexander the Great, British empire builders, and the Russians, his war, too, will continue to rage without ever becoming a raging success. Finally, President-elect Obama accepted the overall framework of a "Global War on Terror" during his presidential campaign. This "war" lies at the heart of the Bush administration's fantasy world of war that has set all-too-real expanses of the planet aflame. Its dangers were further highlighted this week by the New York Times, which revealed that secret orders in the spring of 2004 gave the U.S. military "new authority to attack the Qaeda terrorist network anywhere in the world, and a more sweeping mandate to conduct operations in countries not at war with the United States." At least twelve such attacks have been carried out since then by Special Operations forces on Pakistan, Somalia, most recently Syria, and other unnamed countries. Signed by Donald Rumsfeld, signed off on by President Bush, built-upon recently by Secretary of Defense Robert Gates, these secret orders enshrine the Pentagon's right to ignore international boundaries, or the sovereignty of nations, in an endless global "war" of choice against small, scattered bands of terrorists. As reporter Jim Lobe pointed out recently, a "series of interlocking grand bargains" in what the neoconservatives used to call "the Greater Middle East" or the "arc of instability" might be available to an Obama administration capable of genuinely new thinking. These, he wrote, would be "backed by the relevant regional players as well as major global powers -- aimed at pacifying Afghanistan; integrating Iran into a new regional security structure; promoting reconciliation in Iraq; and launching a credible process to negotiate a comprehensive peace between Israel and the Arab world." Domestically, it's clear enough that we are about to leave the age of Bush -- in tone and policy -- but what that leave-taking will consist of is still an open question. This is especially so given a cratering economy and the pot-holed road ahead. It is a moment when Obama has, not surprisingly, begun to emphasize continuity and reassurance alongside his campaign theme of "change we can believe in." How about former Treasury Secretaries Robert Rubin and Larry Summers, those kings of 1990s globalization, or even the towering former Fed chief from the first Bush era, Paul Volcker? Didn't that have the look of previews for a political zombie movie, a line-up of the undead? As head of the New America Foundation Steve Clemons has been writing recently, the economic team looks suspiciously as if it were preparing for a "Clinton 3.0" moment. Mobilizing a largely Clintonista brain trust may look reassuring to some -- an in-gathering of all the Washington wisdom available before Hurricane Bush/Cheney hit town, but unfortunately, we don't happen to be entering a Clinton 3.0 moment. What's globalizing now is American disaster, which threatens to level a vulnerable world. In a sense, though, domestic policy may, relatively speaking, represent the good news of the coming Obama era. We know, for instance, that those preparing the way for the new president's arrival are thinking hard about how to roll back the worst of Bush cronyism, enrich-yourself-at-the-public-troughism, general lawlessness, and unconstitutionality. As a start, according to Ceci Connolly and R. Jeffrey Smith of the Washington Post, Obama advisers have already been compiling "a list of about 200 Bush administration actions and executive orders that could be swiftly undone to reverse White House policies on climate change, stem cell research, reproductive rights and other issues," including oil drilling in pristine wild lands. In addition, Obama's people are evidently at work on ways to close Guantanamo and try some of its prisoners in U.S. courts. However, if continuity domestically means rollback to the Clinton era, continuity in the foreign policy sphere -- Guantanamo aside -- may be a somewhat different matter. We won't know the full cast of characters to come until the president-elect makes the necessary announcements or has a national security press conference with a similar line-up behind him. But it's certainly rumored that Robert Gates, a symbol of continuity from both Bush eras, might be kept on as secretary of defense, or a Republican senator like Richard Lugar of Indiana or, more interestingly, retiring Nebraska Senator Chuck Hagel might be appointed to the post. Of course, many Clintonistas are sure to be in this line-up, too. Let's assume the best: that Barack Obama truly means to bring some form of the people's will, as he imagines it, to Washington after eight years of unconstitutional "commander-in-chief" governance. That -- take my word for it -- he can't do without the people themselves expressing that will. Of course, even in the Bush era, Americans didn't simply cede the public commons. They turned out, for instance, in staggering numbers to protest the President's invasion of Iraq before it ever happened, and again more recently to work tirelessly to elect Obama president. But -- so it seems to me -- when immediate goals are either disappointingly not achieved, or achieved relatively quickly, most Americans tend to pack their bags and head for home, as so many did in despair after the invasion was launched in 2003, as so many reportedly are doing again, in a far more celebratory mood, now that Obama is elected. But hard as his election may have been, that was surely the easy part. He is now about to enter the hornet's nest. Entrenched interests. Entrenched ideas. Entrenched ideology. Entrenched profits. Entrenched lobbyists. Entrenched bureaucrats. Entrenched think tanks. An entrenched Pentagon and allied military-industrial complex, both bloated beyond imagining and virtually untouchable, along with a labyrinthine intelligence system of more than 18 agencies, departments, and offices. In the Bush years, the special interests, lobbyists, pillagers, and crony corporations not only pitched their tents on the public commons, but with the help of the President's men and women, simply took possession of large hunks of it. That was called "privatization." Now, as Bush & Co. prepare to leave town in a cloud of catastrophe, the feeding frenzy at the public trough only seems to grow. It's a natural reaction -- and certainly a commonplace media reaction at the moment -- to want to give Barack Obama a "chance." Back off those critical comments, people now say. Fair's fair. Give the President-elect a little "breathing space." After all, the election is barely over, he's not even in office, he hasn't had his first 100 days, and already the criticism has begun. But those who say this don't understand Washington -- or, in the case of various media figures and pundits, perhaps understand it all too well. Political Washington is a conspiracy -- in the original sense of the word: "to breathe the same air." In that sense, there is no air in Washington that isn't stale enough to choke a president. Send Obama there alone, give him that "breathing space," don't start demanding the quick ending of wars or anything else, and you're not doing him, or the American people, any favors. Quite the opposite, you're consigning him to suffocation. Leave Obama to them and he'll break your heart. If you do, then blame yourself, not him; but better than blaming anyone, pitch your own tent on the public commons and make some noise. Let him know that Washington's isn't the only consensus around, that Americans really do want our troops to come home, that we actually are looking for "change we can believe in," which would include a less weaponized, less imperial American world, based on a reinvigorated idea of defense, not aggression, and on the Constitution, not leftover Rumsfeld rules or a bogus Global War on Terror. The election is over now, and perhaps we can relax for awhile. On the right panel of the blog is the countdown until Bush leaves. However, no matter how nice it is to be rid of so many Republicans, Obama is still a politician. Let us not get carried away. Really, I've made up my mind. I want to be in heaven, says the senator. And with that, St. Peter escorts him to the elevator and he goe’s down , down, down to hell. The doors open and he finds himself in the middle of a green golf course. In the distance is a clubhouse and standing in front of it are all his friends and other politicians who had worked with him. The elevator goes up, up, up and the doo r reop ens on heaven where St. Peter is waiting for him. 'Well, then, you've spent a day in hell and another in heaven. The devil comes over to him and puts his arm around his s houlder. 'I don't understand,' stammers the senator. 'Yesterday I was here and there was a golf course and clubhouse, and we ate lobster and caviar, drank champagne, and danced and had a great time. Now there's just a wasteland full of garbage and my friends look miserable.